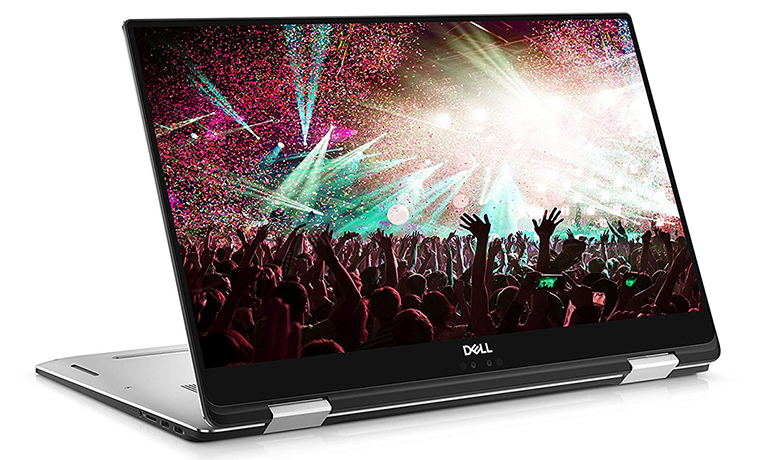 There are plenty of reasons to consider a Dell XPS 15 2-in-1, but two in particular make it an intriguing proposition to us. 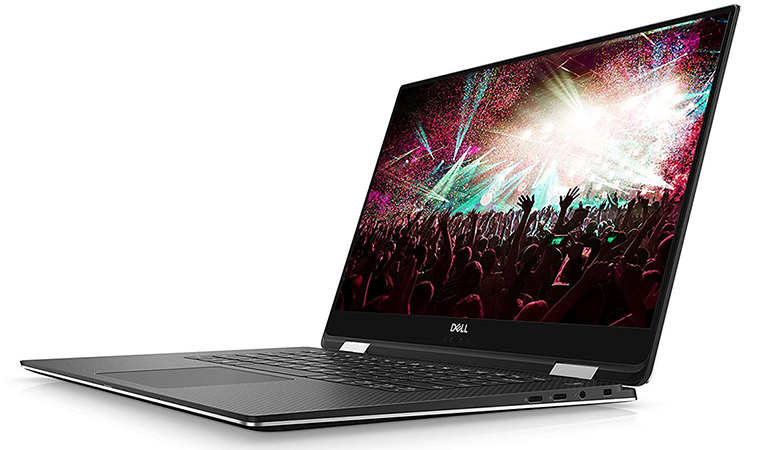 Firstly, we're fascinated to see how the award-winning XPS 15 functions as a convertible, and secondly, this is one of the first high-profile laptops to come equipped with an 8th Gen Intel Core processor carrying Radeon Vega M graphics on a single chip. You haven't been imagining things, Intel CPUs with AMD graphics are now a thing, and the collaborative design is seeing some traction, as while the XPS 15 2-in-1 is available in a choice of five flavours, priced from £1,699 to £2,899, each and every model includes integrated Radeon Vega M graphics as standard. Our review sample, priced at £2,199, packs an Intel Core i7-8705G processor with Radeon RX Vega M GL graphics plus a 4GB HBM2 frame buffer, 16GB of DDR4 system memory, a 512GB M.2 PCIe SSD, and a 4K UltraHD InfinityEdge display. It is a specification befitting the price tag, and though you can lower the entry fee by choosing a model with a regular full-HD screen, the 4K panel is a star attraction, as our benchmarks will demonstrate a little later in this review. This is a premium bit of kit whichever way you look at it, and it feels like one, too. Build quality is top-notch throughout, thanks to a smooth, machined-aluminium body, a soft-touch carbon fibre palm rest, stiff display hinges and a tough Corning Gorilla Glass 4 screen coating. It feels great in the hand, and for a 15.6in system, it's reasonably petite, measuring 354mm x 235mm x 16mm and tapering down to just 9mm at its thinnest point. A major contributor to the modern design is the InfinityEdge screen, whose bezels have shrunk to just 4.7mm. The near-borderless top and side edges give the display extra wow factor, and the 4K IPS touchscreen backs it up with over 400 nits of brightness, impressive contrast ratio, wide viewing angles, excellent colour coverage, and a matte anti-reflective finish. 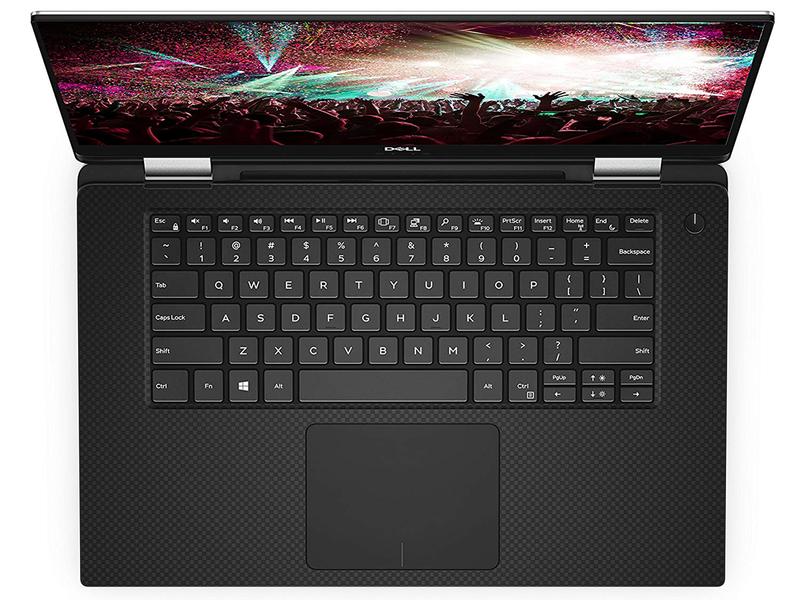 It is one of the best panels available on a laptop of this size, and is partnered by downward-firing stereo speakers that provide convincing audio with enough volume to fill a small room. Build quality and presentation are of a high standard, however there are a few niggles elsewhere. The first is that the overall aesthetic hasn't changed a great deal in recent years, and while the XPS is still a lovely-looking machine, some of us here at HEXUS HQ reckon a design refresh is overdue. 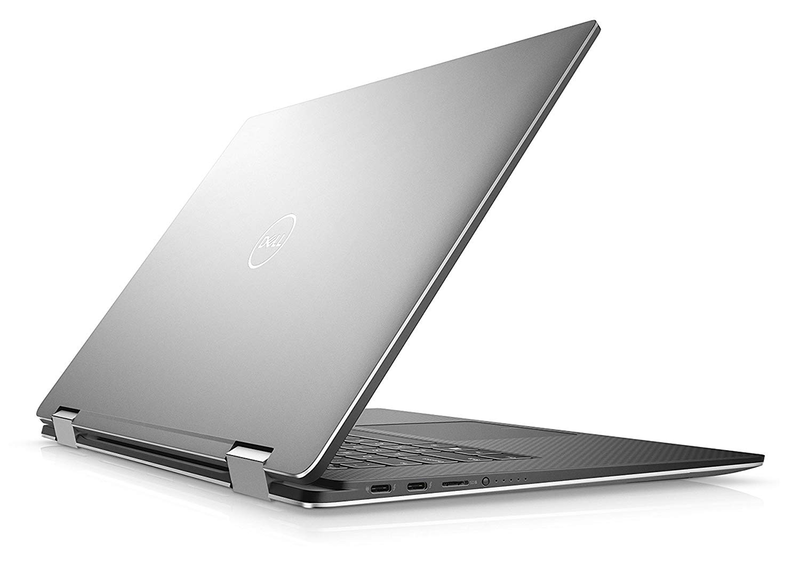 As part of that refresh, we'd ideally like to see a lip at the front of the laptop - opening the lid with one hand is practically impossible as it is - and Dell needs to find a way to relocate the webcam. We appreciate the fact that the 720P IR camera supports Windows Hello face recognition, but its positioning below the display provides an unflattering view up your nose, and risks being obscured as you type. Another question mark is how useful a 15.6in convertible will prove to be during everyday use. I've occasionally found it handy being able to flip the display over in stand or tent mode when just browsing the web or viewing multimedia, however as a tablet the XPS 15 2-in-1 is far from ideal. The system's just too heavy to be used in one hand - it tips the scales at a hair under 2kg - the 16:9 aspect ratio is frustratingly narrow in portrait mode, and it's a shame Dell doesn't include a stylus as part of the bundle. For the most part I've found myself using it as a regular laptop, and though your own usage scenarios may vary, I'm not sure I'd miss the convertible display hinges if they weren't there. What's more interesting is the 2-in-1 processor within. The 65W Core i7-8705G chip is different from anything we've seen in a laptop thus far and includes four Intel 'Kaby Lake' processor cores with hyper-threading support and the ability to hit speeds of up to 4.1GHz. Included as part of the CPU component is Intel HD 630 graphics, and the chip interfaces with a custom Radeon GPU and 4GB of HBM2 memory via a PCIe interface and an EMIB (Embedded Multi-die Interconnect Bridge), respectively. Why go to all that trouble? The upside for users is a potent CPU and a gaming-capable GPU in a single chip whose profile and low implementation cost enables sleek laptops such as the XPS in question. Switching between IGP and dGPU is invisible to the user - it just works - and Dell does a good job of keeping everything cool. At launch the XPS 15 2-in-1 was said to feature some of the firm's most advancing cooling technology to date. Indeed, the dual-fan, three-heatpipe configuration is effective at expelling heat without creating too much noise, and the so-called 'Gore' thermal insulation does well to prevent the laptop's surfaces from becoming hot. Even when gaming, the chassis isn't uncomfortably warm; an admirable trait for a system as slim as this. 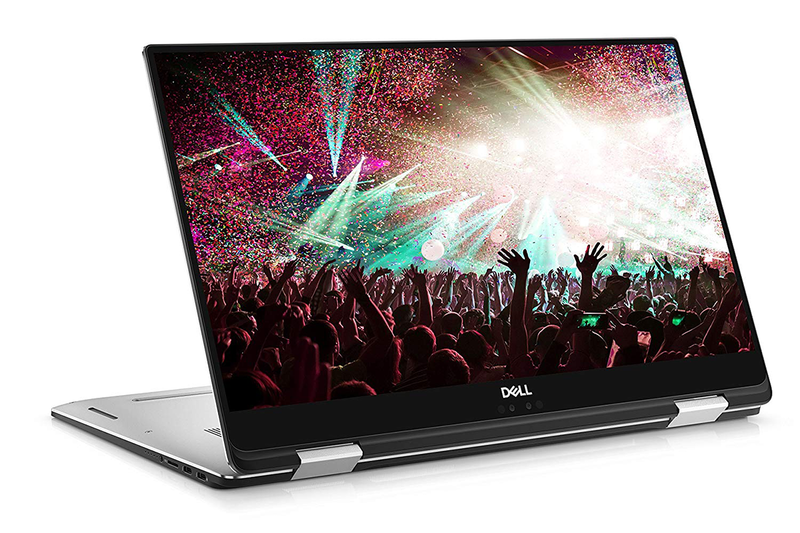 Dell takes a forward-looking approach to connectivity by including four Type-C ports; two supporting Thunderbolt 3; the others catering for USB 3.1. Any of these can be used for charging via the slim, 130W power supply, or attaching an external screen via DisplayPort, and there's also a headphone jack, a MicroSD card reader, and a useful battery gauge that lets you know roughly how much juice you have left at the touch of a button. All good stuff, but what's missing, we feel, is regular USB Type-A. Dell does include a Type-C to Type-A dongle to help ease the transition, but plenty of my frequently-used devices use the older port, and I'd prefer at least one native Type-A port. Purchasing an XPS system typically guarantees an enjoyable keyboard and trackpad experience, but that isn't necessarily the case here. 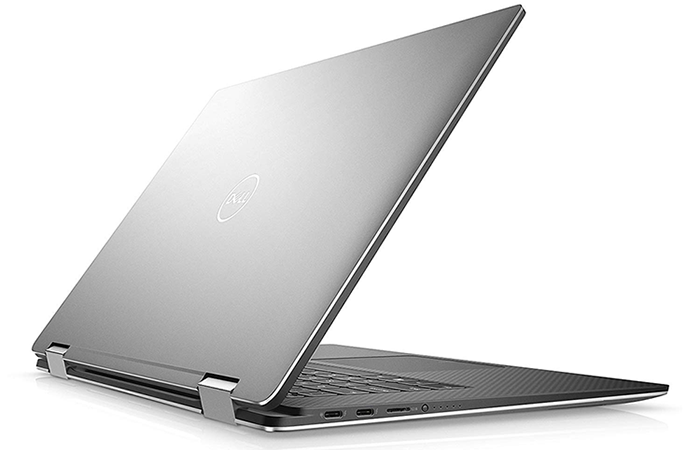 The XPS 15 2-in-1 is Dell's first laptop to feature a backlit MagLev keyboard that eschews the familiar rubber-dome design in favour of magnets and a butterfly mechanism that is said to reduce the thickness of the keyboard by as much as 24 per cent, ultimately enabling a thin overall form factor. In practise, it isn't a bad design, as Dell's keys are well spaced and pleasant enough, but there isn't a great deal of travel, and though I don't mind typing on it, I don't enjoy it as much as I would, say, on a Surface or a ThinkPad. It's a sign of how good today's laptops are that we nitpick the XPS keyboard, and while we're at it we can identify a niggle with the Precision trackpad, too. It's well-sized, responsive and smooth to the touch, but the click action is a tad too loud for our liking. 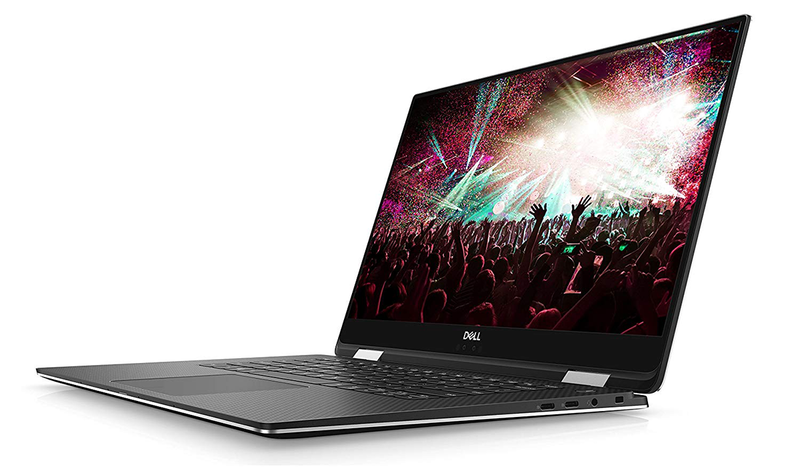 What's handy is that Dell's decision to slim certain components has allowed the 2-in-1 to carry a high-capacity 75Wh battery, which we're told is good for almost 16 hours of battery life on a full-HD configuration. How will it fare when driving the 4K review sample? Let's run some benchmarks and see what's what.